Jibanananda Das is a very famous Bengali Poet and novelist. He was born in 17th February, 1899, Barisal, Bangladesh and died in 22nd October, 1954, Kolkata, India. 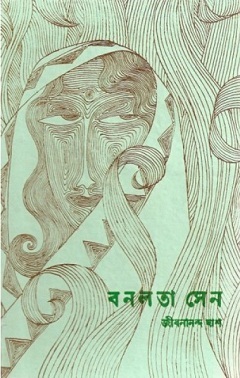 Banalata Sen is one of his most popular poem books. In this book have total thirty (30) poems. It’s originally love poems collection. Bangla literature’s most widely read poem Banalata Sen, this is a character at different times of the poet’s writing, has come back. ‘Banalata Sen’ poem book first published in December, 1942. E-Book Version: First internet edition 23rd June, 2010. PDF File Size: 952 KB. Courtesy: Nabiul Afruz and Sohell Kazi. If you like this Bangla Poem Book, please buy a hard copy from your nearest book shop. Note that: More PDF reading will damage your eyes!